To be healthy and fit, one must consider doing exercise on a regular basis. It is true that diet also contributes widely but for the best results you should go to the gym and eat healthy. If you want fast and lasting results, both diet and exercise are crucial. Committing to exercise can be difficult at some point, but if only one can get in the habit of working out, everything else falls seems to fall into place. What one needs to do is to try and establish an exercise plan and build up a habit of getting to the gym every day. With that said and done, one can then strictly focus on keeping fit using other complimentary habits. Adding supplements to your diet as you are hitting the gym can contribute quite a it to improve your overall results. These supplements vary so your health & fitness goals are what determine the best one to take. These supplements range from protein powders, fat burners, to recovery supplements. This article explains how best intra-workout supplements can help you improve your health. As a diet supplement for better workouts, intra-workout supplements are good for increasing performance and improving the stamina in a person. As a result, one is able to lift more weight and sprint effectively, and in general just perform better. Intra-workout supplements enable one to workout longer while and even kick-starts an individual’s recovery as well. Due to the numerous intra-workout nutrition aspects these supplements provide, a person will remain energetic. These nutritional supplements include a wide variety of ingredients that were blended for maximize health & exercise performance. Many of the ingredients include amino acids, creatine, carbohydrates and many more. There are a plethora of ingredients available in intra-workouts supplements that make them effective for exercise and exercise recovery. In most cases, these ingredients differ depending on the type of the intra-workout supplement, but commonly most of them include a blend of the following ingredients. Amino Acids – they are added in two different ways. This can be in powder form or as isolated supplements. Besides its other benefits, amino acids contribute much to muscle development. This is as a result of the branch chain amino acids that contribute to protein synthesis. Creatine – it enhances performance in an individual during the workout. Mainly, its function is to assist in short-term muscle performer. As a result, one can lift extra weight and in turn be an excellent sprinter. Check out these creatine supplementation guidelines to learn more. Carbohydrates – Carbohydrates are very important in this case. They provide energy organically when digested thus enabling one to gain stamina during workout. The fats convert to glucose immediately it is digested thus providing instant energy. The intra-workout products have numerous benefits that it provides to the body. In most cases, however, the type that a person takes is what determines the end result in a workout. In addition, a person’s body type also impacts how these products work, and lastly, a person’s goal when taking these supplements also matters. Primarily, intra-workout products are always beneficial for providing stamina, liveliness, and recovery heightening ingredients. 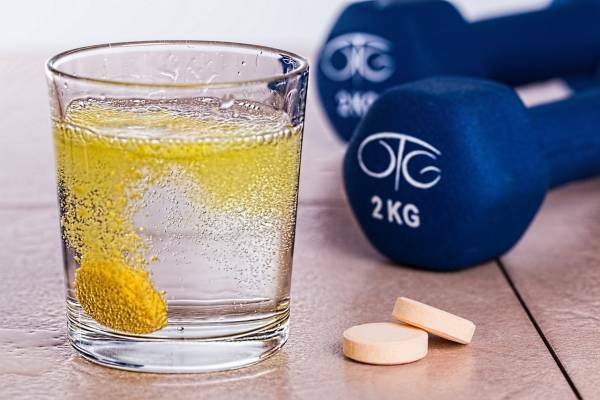 With a close analysis, research has proven that these supplements are only important for helping you have an extended, high-quality workout and thus enhancing the outcome of your efforts at the gym tremendously in many cases. In summary, intra-workout supplements can be essential workout aides despite how many people think. Therefore, in this case, it can be very hard to do without them during workouts for many, especially those who aren’t quite so motivated. This is especially true in regards to how we have seen their importance as discussed earlier. With these few ideas on how intra-workout can help, you are now sure of what to use for a successful workout the next time you hit the gym.